Savvy Spending: Amazon: up to 80% off ALEX Toy sets, today only! 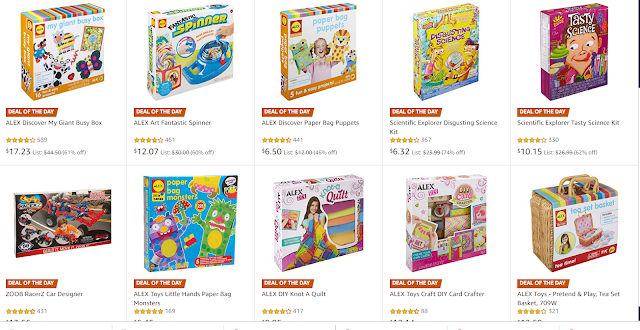 Amazon: up to 80% off ALEX Toy sets, today only! Today, November 20th only, Amazon is offering up to 80% off ALEX Toys Sets! Plus you'll get FREE Shipping with Amazon! There are lots of toys and crafts to choose from! Makes a great gift!